Alana McVeigh is a premier Western Australian ceramicist whose delicate porcelain vessels focus on simplicity and form. Alana is an experienced and skilled tutor, who trained in New Zealand before taking up a Fine Art lecturing position at Curtin University, where she is also completing a PhD. 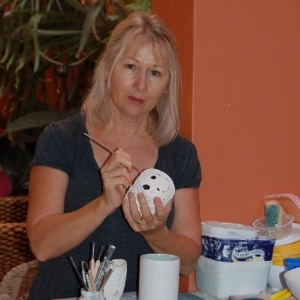 Her adult classes are a perfect introduction to the subtleties of porcelain and the wheel and her kids workshops are just plain fun.